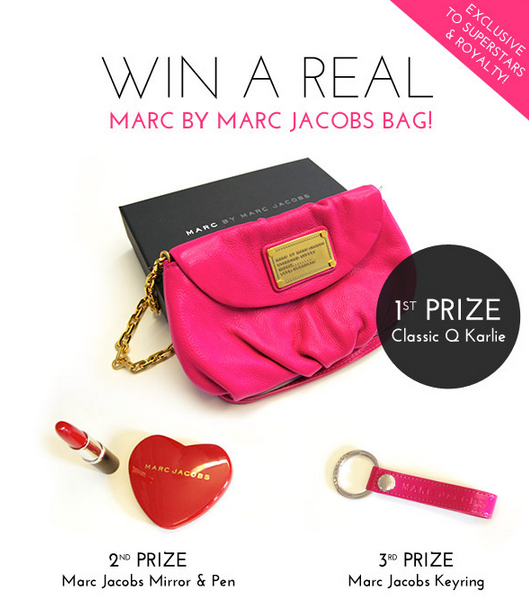 Only 3 lucky users will receive real prizes that will be sent by mail to their homes. 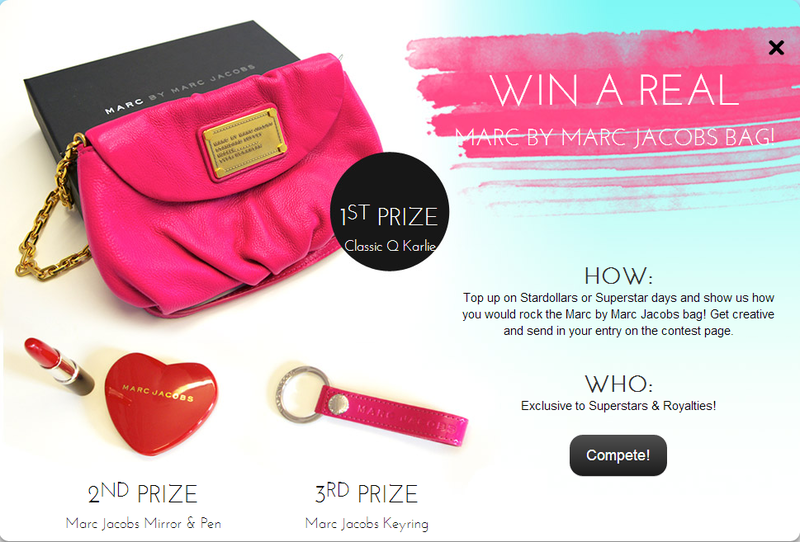 The winner will receive a Marc by Marc Jacobs bag, the runner up will receive Marc Jacobs Mirror & Pen and the second runner up will receive Marc Jacobs Keyring. 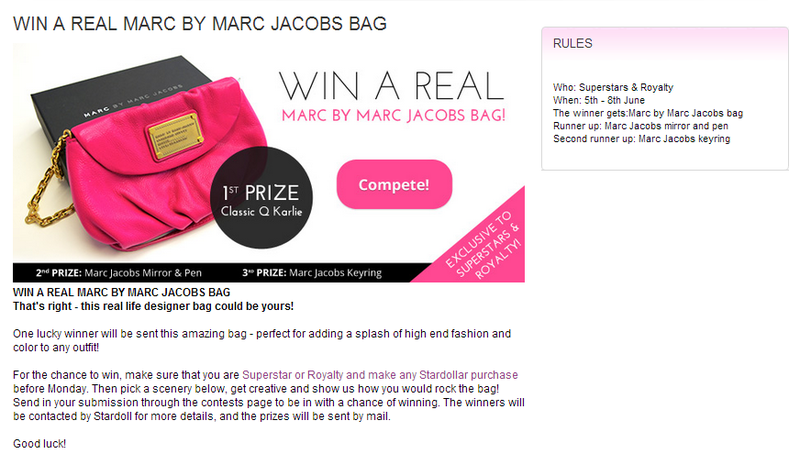 All you have to do (according to the description of the contest) is make sure that you are SS or Royalty and make any Stardoll purchase before Monday and then create a scenery showing how you would rock the bag. Are you going to enter the competition?